We have specialists in all aspects of eye care to diagnose and treat cataracts, glaucoma, retinal and vitreous diseases, diabetic retinopathy, corneal diseases, corneal transplants, LASIK procedures, pediatric ophthalmology, cosmetic and reconstructive surgery of the eyes and face including Botox, Restylane, Juvederm, and other treatments. 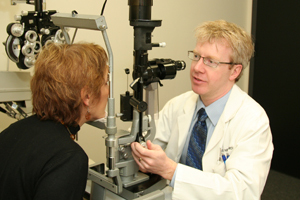 Our optometrists provide comprehensive eye exams as well as fit all types of contact lenses. Our optical departments carry some of the largest selections of frames, as well as sunglasses, sport goggles and many other optical accessories. From comprehensive eye exams to sophisticated laser surgery, our doctors are here to answer your questions and meet your specific needs. To learn more, click on an eye care specialty, or call our office in Providence at 401-272-2020, our East Providence office at 401-437-0500, our South Kingstown office at 401-272-2020, or our Fall River office at 508-679-0150 to schedule an appointment.